Order Today We deliver for Special Orders. Contact our office for more questions. 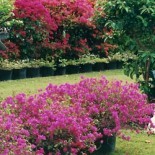 The Nursery Our nursery offers peace of mind and quality assurance that stands behind each and every Bougainvillea. 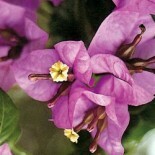 Decorate Whenever your decoration needs require BOUGAINVILLEA, call, e-mail or pay us a visit. Our Customers Landscaping companies, contractors, designers and architects, are among our large list of clients. We deliver for Special Orders. Contact our office for more questions. Our nursery offers peace of mind and quality assurance that stands behind each and every Bougainvillea. Whenever your decoration needs require BOUGAINVILLEA, call, e-mail or pay us a visit. Landscaping companies, contractors, designers and architects, are among our large list of clients.